within the above VIN range, it is no longer necessary to replace the DSM or PSM. The module lid is now a serviceable item. 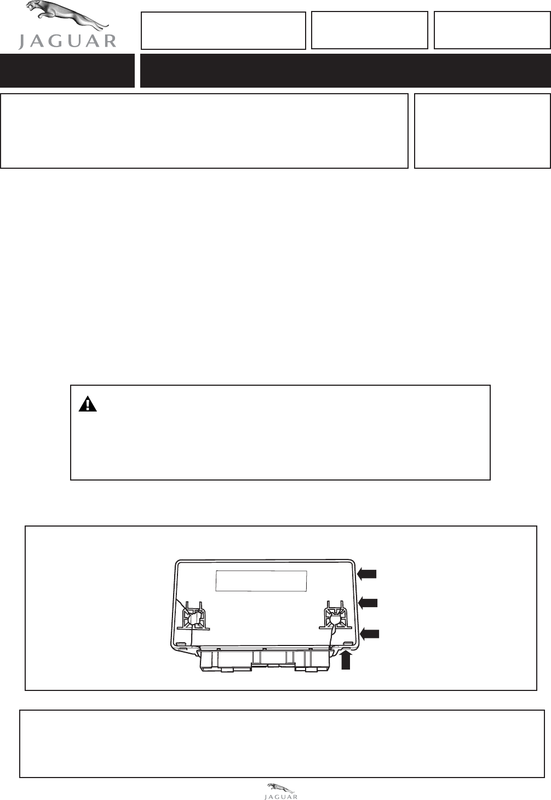 To install a new module lid, follow the procedure outlined below. section 419-10, DSM SRO 86.75.28 or PSM SRO 86.75.16). 2. Place the module on a clean work surface with the fixing studs uppermost. the module. Retrieve any broken pieces from the old module lid (Illustration 1).